Dividends - Do They Really Matter?Dividends - Do They Really Matter? Dividends – Do They Really Matter? 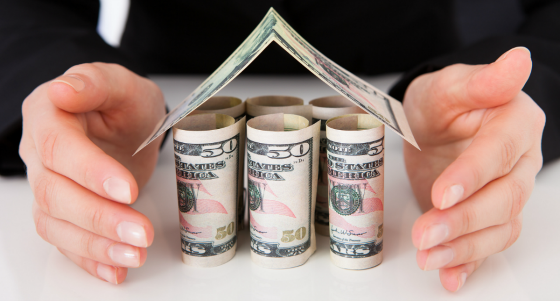 Most real estate investors deploy their capital in this asset class because of the income it can generate. This is very much the case for those investing with CWS. Since 1991 CWS has sold 68 properties. Our average IRR net to our investors has been about 14%. Approximately half the return has come from dividends and the other half from appreciation. Of course, each individual investment can vary widely but this is a pretty good rule of thumb from our experience. Stabilized real estate should be a dividend generator. Unlike most businesses in which additional capital can be reinvested to increase capacity and/or efficiencies, most properties are finite in their revenue generating capacity. An apartment community has a fixed number of units, office, and industrial buildings and self-storage have finite square footage, etc. Thus, the name of the game is to generate the greatest amount of revenue from that square footage while prudently managing costs. Unless making a significant capital investment in the property, most of the excess cash flow should be distributable once sufficient reserves are built up to create a financial buffer against unexpected revenue drops or expense needs. The offset to its fixed revenue generating capacity is that well-located real estate that is kept in good and marketable condition should produce a reliable income stream. The reliability and durability of the income stream make the asset class ideal for utilizing borrowed money to finance the ownership. Prudently utilized leverage can go a long way to magnifying the returns to counteract some of the revenue generating constraints that arise from having a fixed amount of space to rent. I have seen how well dividends can benefit our investors over long periods of time, particularly as they reinvest those streams of income. When it comes to the stock market, however, I can see how one might shy away from dividend-paying companies if they are looking for growth because presumably there are many companies who can grow their businesses far more rapidly than we can be owning a piece of real estate. As a result, management has better uses of the money by reinvesting in the business versus paying it out to shareholders. I get the theory. So what happens in reality? It turns out that deploying capital at attractive rates of returns is quite difficult to do over long periods of time. Before turning to the evidence of this, let me digress with a fascinating story showing the power of dividends. I was struck by an article I read about a woman who was a secretary at Abbott Labs and 80 years ago she bought three shares of company stock four years into her job for about $200. She never sold those three shares and when she died in 2010 she was worth $7 million! The article ascribes the tremendous increase in wealth to the miracle of compounding and the power of dividends. I am assuming that she either reinvested those dividends in company stock and/or in other investments. Nevertheless, there is tremendous power in dividends and making a concerted effort to reinvest them prudently. The article references research done by Morgan Stanley showing over time that the total return from stocks attributable to dividends was approximately 42% between 1930 and 2011 as the following table shows. Not surprisingly, the percentage varies widely based on how much stocks appreciate (or depreciate). One of the reasons that dividend-paying companies tend to offer better rates of return over the long run is that they are usually safer and have less chance of going out of business or having their value permanently impaired. These firms have higher growth prospects but are often smaller, more levered, have less financial strength, less profitable, and higher profit volatility, just to name some of their major risk characteristics. The following chart shows how various categories of companies have performed over a long period of time. There is the global universe of companies that serve as the benchmark to which the authors compare dividend growers, dividend payers with no change, dividend cutters, and those who pay no dividends. The non-dividend payers performed the worst and the dividend growers significantly outperformed all of the other categories. This is good news for real estate as high-quality properties tend to have pricing power that allows it to grow revenues faster than expenses, thereby allowing for dividend growth over a long period of time. Of course, this is not always the case and there are times when properties need significant capital investment, but generally, over time this has proven to be our experience at CWS. Our distribution philosophy at CWS is one that seeks to pay out a meaningful portion of our cash flow but not every last dollar as we want to make sure we have sufficient reserves to cover unexpected expenses, occupancy declines, large capital expenditures, higher interest rates, and loan amortization that will kick in after our interest-only period expires. It appears from the following charts that this tends to produce the best returns in the stock market as well. 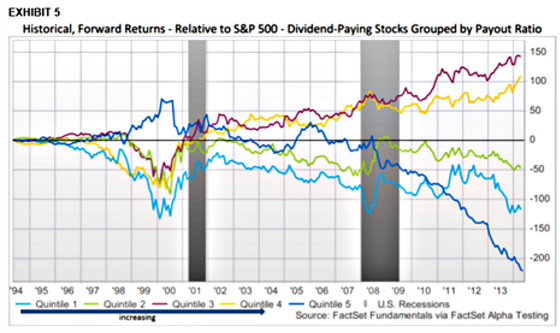 The first chart shows that the highest forward returns come from those that have increasing dividends but do not pay out the highest percentage of their earnings. Very high payout ratios are often a sign that dividends are not sustainable whereas very low ratios may reflect a concern among investors that management teams will not reinvest the retained capital wisely. On a cumulative basis, companies in the fourth quintile dramatically outperform all of the other categories. Interestingly, the highest payout ratio companies are in second place, although producing only about 53% of the total return as the second highest payout ratio cohort. Before returning to real estate, here is a nifty return calculator for the S&P 500 for different periods of time breaking down the return without reinvesting dividends and after reinvesting them. For example, between September 2006 and September 2016, the S&P 500 produced a total return of 65.4% without reinvesting the dividends. After reinvesting them, however, the return jumps up to 102.8%, which is about 2% more per year compounded. 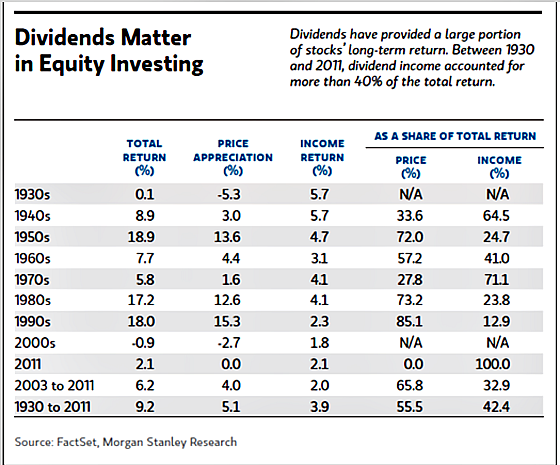 So yes dividends do matter. Apartments are a pretty simple business which has a relatively predictable income stream that can allow us to generate recurring dividends to our investors. At the same time, we are not always devoid of growth opportunities as we have many situations in which we can redeploy capital to upgrade our units and improve the amenities. Unlike more complicated businesses, it is not rocket science for us to determine what return we think we can get on those reinvested dollars. Fortunately, in today’s high demand environment for apartments, upgraded units can often times generate returns north of 20% on the dollars invested which makes retaining and reinvesting these dollars a prudent move as this should grow cash flow over time, increase the value of the property, and allow for greater dividends in the future. On the other hand, apartments offer a great laboratory so we have ways of getting continuous feedback to help us to determine if we should stay the course, modify the plan, or retreat if our assessment of customer response was misguided. Taking a step back, it now makes sense why so much wealth has been created and stored in real estate. A greater risk to real estate investors is that too much capital is distributed versus too much retained and reinvested imprudently. Real estate sponsors have an incentive to pay out more versus less in order to have a greater chance of participating in the profits over a certain return. In addition, many families come to depend on the income for their lifestyle needs. Unlike a lot of operating businesses which have high capital requirements to finance growth and the tendency is to over-invest in the business without generating sufficient returns, real estate owners often face the opposite problem. They need to make sure that they do not over-distribute as properties inevitably hit bumps in the road and have capital cycles requiring significant reinvestment to ensure they are in an excellent condition and can aggressively compete in the marketplace. Most people tend to downplay this as they always believe the can refinance to pull out the capital they need to finance the extraordinary capital requirements when the time comes. This may be true most of the time, but one never knows when the capital markets may tighten up or one may not be able to refinance their loans for many years to come due to onerous prepayment penalties or access supplemental financing due to an inability to qualify for more loan proceeds or prohibition from doing so by the current lender. At CWS we make a concerted effort to balance the future with the present by having a competitive dividend, sufficient cash reserves to buffer against unexpected cash needs and those that are expected but large, and reinvesting in the property to maintain its competitiveness and to capture more value. While as sponsors we have an incentive to pay out more in dividends, we also know in the long run real estate is about staying power and we are perfectly willing to defer a hamburger today for two on Tuesday to reverse the famous offer by Wimpy. Are you willing to defer a hamburger today for two on Tuesday?